CountryChoiceType is a child of ChoiceType. 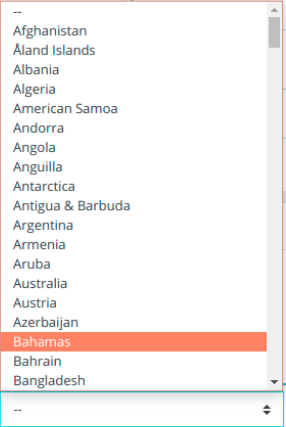 It is used to display countries selection box and by default comes with a list of countries from PrestaShop database. choices array Array of all available countries Choice list that is passed to parent ‘choices’. Array should be formatted in name => value pairs.